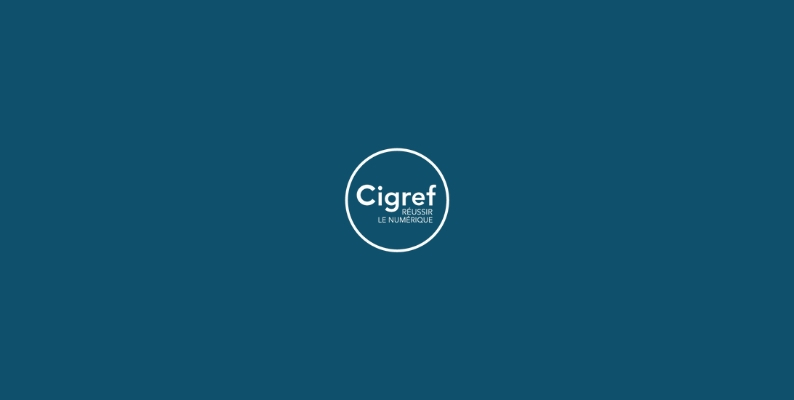 A CIGREF working group gathered CIO from various companies to exchange on the following topic: “the new roles of the IS (Information System) function”. 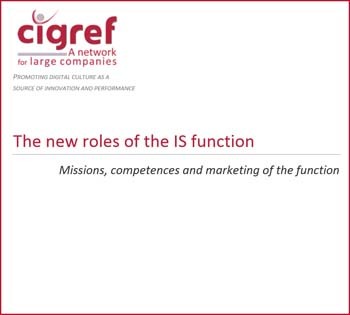 The main question was “What is contribution of the IS function to the digital transformation of a company?” and the group focused on three dimensions: The new missions of the function; the associated competences and the marketing of the IS function. The primacy of the customer’s experience is considered as a crucial point. The end customer of the enterprise now sees and uses the IS. Therefore, the role of IS function, alongside the sales and marketing functions, contributes to the company’s image, to its satisfactory operation, and to its revenue generation. The IS becomes a major contributor in the customer relationship and the CIO (Chief Information Officer) is naturally positioned to work with his/her colleagues on the company’s digital technology strategy. The fact that all the staff of a company make daily use of the digital world, and that they expect an IS as flexible as they can have at home, means that the IS function must deliver its users systems that are as simple, functional and practical that what they can find on the Internet. The IT department and the CIO no longer operate based on hierarchical authority, or based on a monopoly of technical or functional domains of expertise. The IS Function develops and positions itself within the company, according to the value that the function can provide. “Test and learn” approaches are brought by digital technology: trying, implementing quickly, assessing the results to see whether it works or not. The group also identified the emergence of multi-speed IT ranging from the front office to the middle and back office, whose competences, life cycles and requirements are different. Even the technical object is impacted by digital technology: the IT Department needs to manage a fuzziness environment, with a not-always well-defined scope while succeeding in delivering the required services. The working group identified 3 marketing axes for the IS function around products and services, customer relationship and communication. CIO’s have to pre-empt all technological terms – buzzwords –and promote them to the executive committee in the company. The IS function must communicate about its successes and contributions to the company’s performance and innovation.